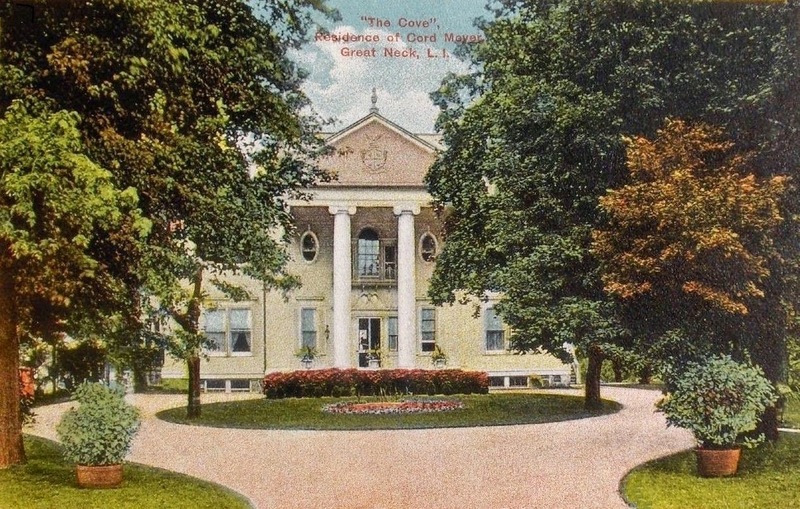 'The Cove', the Cord Meyer estate built c. 1900 in Kings Point. Meyer was a director on a number of boards and a real estate developer. Click HERE to see Meyer's son J. Edward Meyer's estate 'Rhada', also in Kings Point. 'The Cove' was demolished c. 1950. There is an article about Meyer's grandson's involvement in the CIA posted on my website--spinzialongislandestates.com. The title of the article is "Adultery, Drugs, Murder, Untimely Deaths, and Long Island's Prominent Families: A Tangled Web."